Yoko Ono replied to a Genesis subscriber’s praise for YOKO ONO INFINITE UNIVERSE AT DAWN on her weekly social media ‘Q&A Day’. Mari Mcnamee: Dear Yoko, I hope you had a wonderful Christmas! 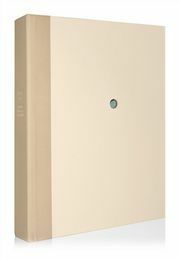 Mine was very nice and I received "Infinite Universe at Dawn.” I love everything about this book. Really stunning piece of art from cover to cover! Yoko Ono: I thought my grandchildren would love great cashmere sweaters more than a book about my work. Wrong! But we all laughed about it, and it was good. The kids did love the cashmere sweaters anyway. 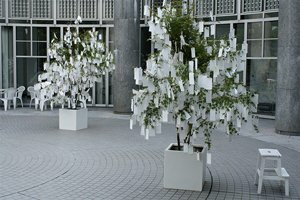 Above: Wish Trees for Hiroshima © Yoko Ono, taken from YOKO ONO INFINITE UNIVERSE AT DAWN.You can find out more and order your copy by clicking here.